Born from the hand-scribbled trail maps and wilderness passion of its members, Washington's nearly 100-year-old Mountaineers Club established the nonprofit Mountaineers Books in 1960 to express and share its love of the natural outdoors. If you want fun and challenging cross-country skiing experiences that aren't in the backcountry, this is the guidebook for you. 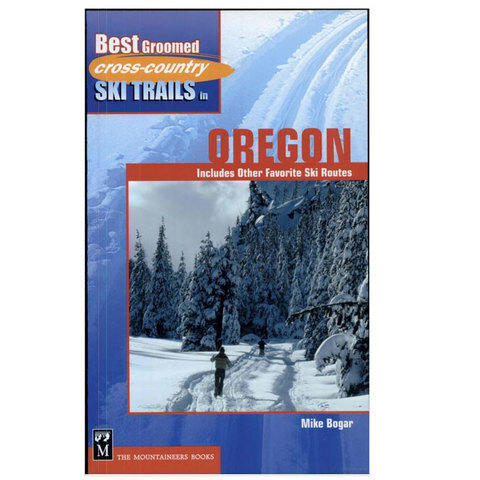 Best Groomed Cross-Country Ski Trails in Oregon is easy to use. All the routes are well-marked and the sno-parks are easily accessible from major highways and interstates. Ski areas are identified within regions and the trails in each region are carefully mapped. Regions include southwest Washington, Mount Hood, Santiam Pass, central Oregon, Willamette Pass, southern Oregon, and eastern Oregon.